How Much is a Hotel Room in Schierke? Hotels in Schierke start at $102 per night. Prices and availability subject to change. Additional terms may apply. 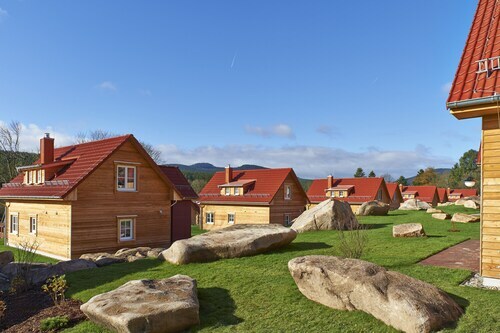 Are you researching an adventure in Harz and want to find somewhere to put your feet up in between making memories in Schierke? Travelocity has a significant range of options. 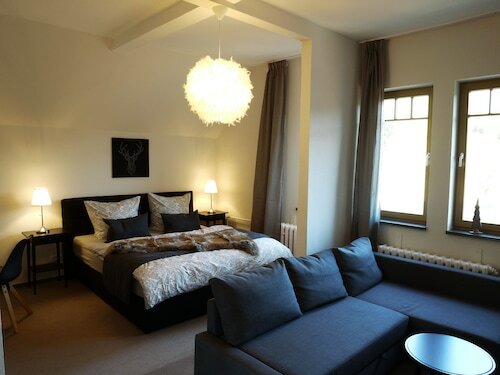 Travelers can book no less than 15 great rooms within a convenient drive of of Schierke. The Hotel Waldschlößchen Schierke is the closest Travelocity hotel to the town center of Schierke and it is located a simple and quick drive away. 7 miles (12 kilometers) away from downtown Schierke, you will find the Ringhotel Weißer Hirsch. The Landhaus Zu den Rothen Forellen is positioned 6 miles (9 kilometers) away. Some other possible Travelocity-registered hotels include the Travel Charme Gothisches Haus and the Maritim Berghotel Braunlage. Once you have seen the sights in Schierke, put aside some time to discover some of Saxony-Anhalt's other attractions. Discover Saxony-Anhalt's castles and old towns and photograph the region's forests and rivers. In this corner of Germany adventurous travelers can also try their hand at snowboarding. 12 miles (20 kilometers) from Schierke, you can reach Goslar, which is where you can spend a few hours exploring Goslar Imperial Palace and Mines of Rammelsberg. 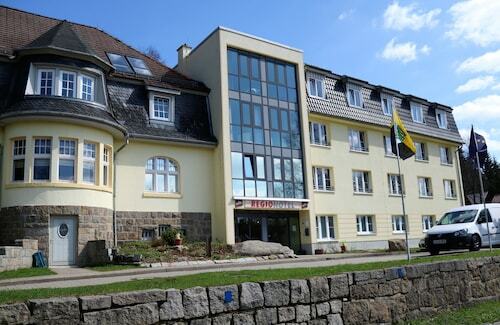 The Altstadt Hotel Gosequell and RAMADA Hotel Baeren Goslar are just some examples of the convenient hotel and apartment alternatives in Goslar. Alternatively, you could consider staying at Sorge, 7 miles (12 kilometers) south of Schierke, where you can choose between the Hotel Tannenpark and Landhausferienwohnungen Am Brockenblick. The Grenzlandschaft and Museum Sorge and Ring der Erinnerung are some of the most popular points of interest to check out while in Sorge. Before you and your family leave Harz, you should certainly ensure you get to see some local sport. Swing by HDI Arena, which you will find to the northwest of Schierke. Sleep surrounded by the sporting action at the Cityhotel Königsstraße or the Sheraton Hanover Pelikan Hotel. Located 60 miles (93 kilometers) outside the middle of Schierke is Erfurt Airport. Base yourself nearby at Airport Hotel Erfurt or Hotel & Restaurant Park-Cafe ISA.